Each month we ask our followers for their book recommendations. Please see this month’s selection. Enjoy. T.D. 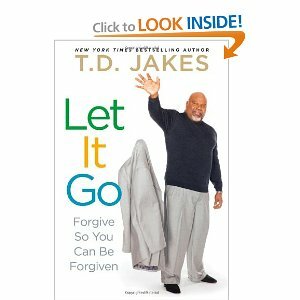 Jakes, New York Times bestselling author of Reposition Yourself, Making Great Decisions, and more than a dozen other titles, now presents this book on forgiveness, demonstrating once again why he is called “a spiritual genius,” a “master of meeting mankind eye to eye,” and one of America’s best preachers. He understands that he and fellow Christians share spiritual truths “that transcend time and culture and reflect a universal understanding of human nature.” The spiritual truth he explores in Let It Go concerns forgiveness and why it is important for those on the receiving end of wrongful behaviour as well as those who commit acts of wrongdoing.